Each support request will be handled with care. 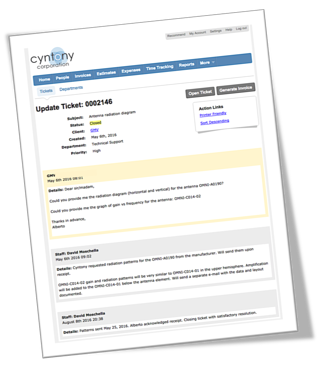 Communications are administered through our online quote, invoice and support portal at cyntony.freshbooks.com. Every support issue gets its own ticket assigned to your account. You and any other authorized party can participate in the discussion and track progress towards a resolution.